Four Case Western Reserve University students died last night in a plane crash in Willoughby Hills, near the Cuyahoga County Airport. William Felten, 20, of Saginaw, Michigan, Lucas Marcelli, 20, of Massillon, Abraham Pishevar, 18, of Rockville, Maryland, and John Hill, 18, of St. Simons, Georgia, were trapped inside the aircraft (a 1999 Cessna Model 172R plane) when it crashed and burst into flame. State highway patrol investigators said the plane took off at about 10 p.m. and that it ran into engine trouble just after passing over Bishop Road in Willoughby Hills. 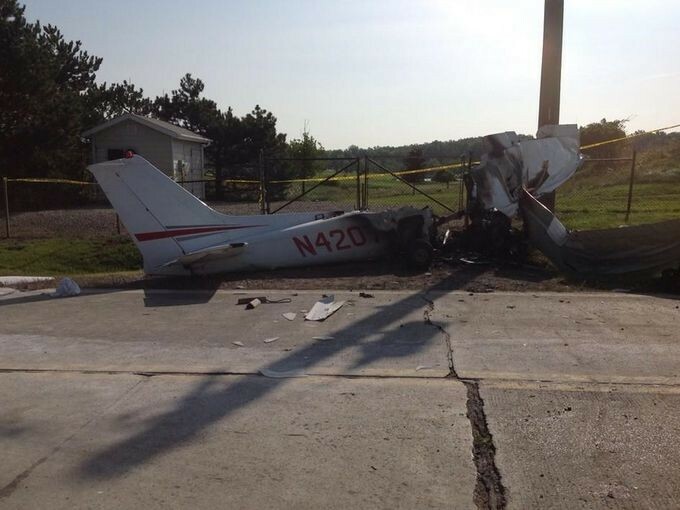 Felten, the pilot, tried to reverse course and land at the airport just before crashing. The CWRU Daily reported that three of the four students were on the varsity wrestling team and two of them were active in fraternities. In an email sent to university staff and students, university president Barbara Snyder confirmed that the four men attended the university.